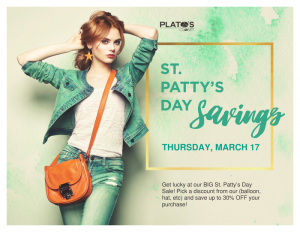 Test Your Irish Luck at the Plato’s Closet St. Patty’s Sale! 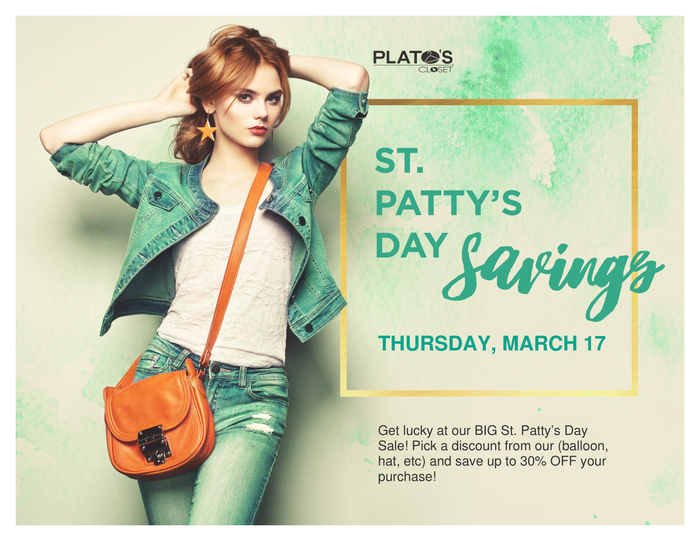 Test your luck at the St. Patty’s Day sale at Plato’s Closet! Get 30% off your order. The luck of the Irish will be on your side while you search our vast selection of great deals.